What was your experience like playing at America’s Escape Game? First, it was just a lot of FUN! We laughed a lot — with each other and at each other when someone would try something really silly to solve a problem. Secondly, an escape game challenges your mind in a way that doesn’t always get tested on a regular basis in our everyday lives. We problem solved together as a group, and often tried things that didn’t work. But when we would find an intermediate clue or solve a small problem, the excitement and sense of progress among us was real and stimulating to continue pushing forward. The added excitement and ‘stress’ of having a time limit required non-stop action, movement, and conversations. How can America’s Escape Game help companies in team building? Successful completion of the event (getting out of the room(s) in less than an hour) can only be done by working together effectively as a team. Used in the proper context, America’s Escape Game can be a very effective tool used by companies seeking to improve their performance. America’s Escape Game is an example of the experiential learning cycle. You first have the experience, then you share that experience with fellow team members, then you interpret the results and what they could mean to your work environment, and then you commit to applying the learnings back at work. There are a multitude of possible work applications that can come out of an escape game session. Why are challenging attractions and games crucial to success in the workplace? Many organizational failures are due to poor or ineffective teamwork. The ‘science’ or technology of any business (making paper, appliances, cell phones, etc.) is really not that hard for the people involved. What is hard is how to work effectively in groups of people or teams. It is the people side of the business that presents the most common and most difficult challenges. Work results and finished projects don’t happen by themselves. It requires people working together collectively for the good of the organization. If people don’t know how or choose not to work together in teams, the organization will suffer. 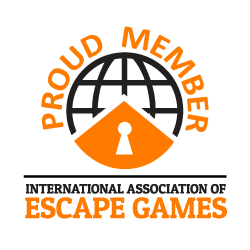 How do escape games build leadership skills? Individual employee goals are often misaligned with organizational goals. It is the leader’s job to align the two sets of goals. Most leaders who fail in organizations do not do so because of a lack of technical skills (commonly called their IQ). Most fail due to lack of people skills (commonly called their EQ – Emotional Quotient or Emotional Intelligence). America’s Escape Game is a great activity that explores and showcases the quality of a leader’s EQ skills. How well does the leader recognize tension in the work group and address it effectively? How well does the leader recognize when the team is slowing down in their progress and what is causing that slowdown – competing personalities, clashing viewpoints, differing strategies on how to solve the problem, etc. The effective leader is sensitive to and observant of these behaviors and acts quickly and accordingly to keep the team moving along in reaching the ultimate goal. How can escape games improve the office culture of a company? A shared experience like America’s Escape Game is a very effective means of bonding employees together. They all went through the same activity, so they can talk very directly to the things they did together to solve the problem; what were the funny things said or done; who made a ‘big’ discovery or breakthrough action that moved the team forward, etc. Strong social and work cultures are grounded in shared experiences, trials, tribulations, and successes. All of these potential opportunities to build and bond a team and work culture are present in America’s Escape Game.